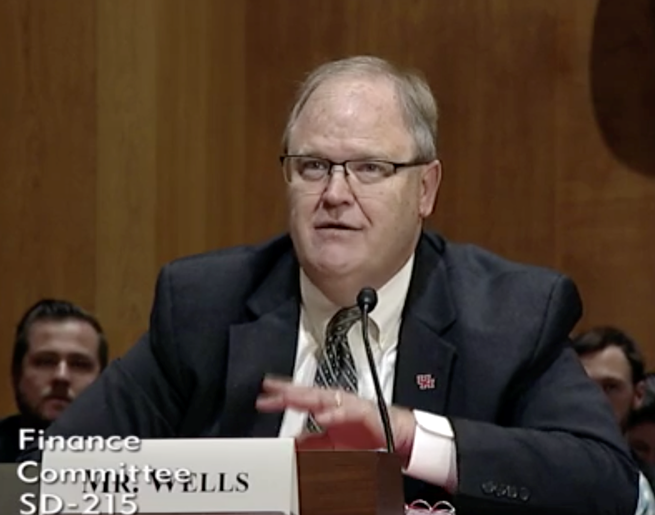 UHLC Prof Bret Wells testifies on international taxation before Senate Finance Committee. Oct. 5, 2017 — University of Houston Law Center Professor Bret Wells testified Tuesday before the Senate Finance Committee on international taxation as part of ongoing efforts to reform business tax laws. Wells, George Butler Research Professor of Law, argued that current law favors foreign-ownership of U.S. businesses and there is an urgent need to level the playing field. He also argued that the corporate inversion phenomenon demonstrates that the tax advantage afforded to foreign ownership motivates U.S.-based corporations to want to become foreign-based multinational enterprises. Wells urged Congress to reject base protections that apply only to U.S.-based multinational enterprises and instead implement measures that would equally apply to both U.S.- and foreign-based multinational enterprises.